Flamboyant mobster Arnold Rothstein was gambling and money. He was the inspiration for Meyer Wolfsheim in The Great Gatsby and Nathan Detroit in Guys and Dolls. It was rumored he masterminded the 1919 World Series fix. He was Mr. Broadway, a king of corruption holding court from his private booth at Lindy's Restaurant. 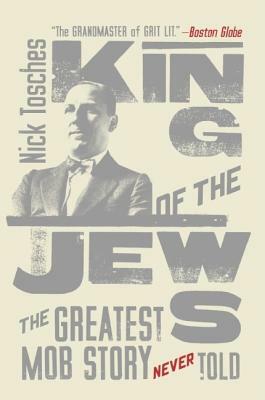 In this lively, sprawling biography, the inimitable Nick Tosches -- "one of the greatest living American writers" (Dallas Observer) -- examines the myth and extraordinary legacy of Arnold Rothstein. It is an elegy to old New York that places an iconic, larger-than-life criminal kingpin firmly at the center of nothing less than the history of the entire Western world. Nick Tosches is the acclaimed author of many books, including biographies of Jerry Lee Lewis, Dean Martin, and Sonny Liston. He writes for numerous periodicals, including Vanity Fair, where he is a contributing editor. He lives in New York City.